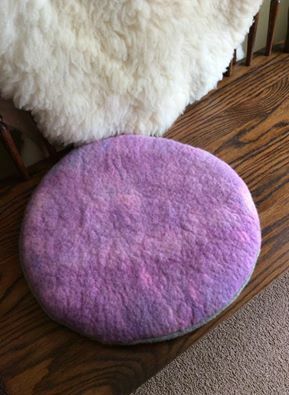 I wanted to make Katie, my daughter, a chair pad (or meditation cushion, heehee) for her apartment bedroom desk chair. 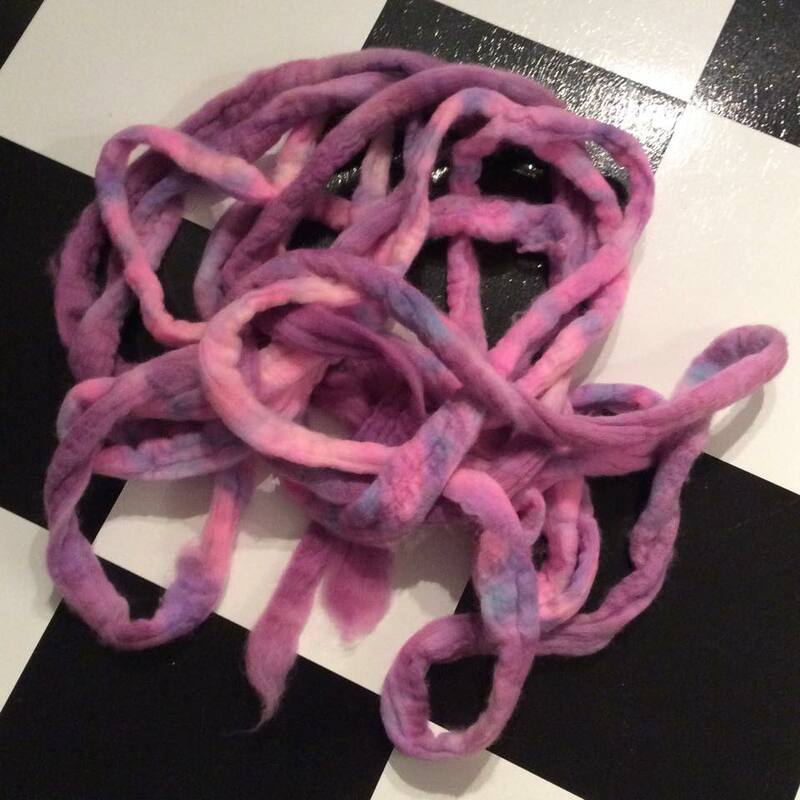 I had THIS hand-painted wool roving in my wool stash long enough. Perfect!! 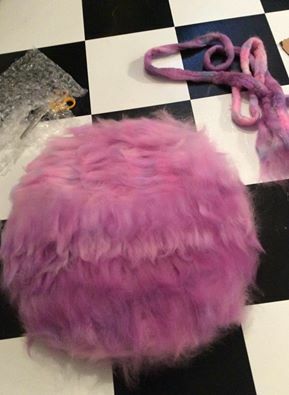 I cut a circular ‘resist’ from bubble wrap to place in the center (between the front and back) of the cushion. Here you can observe the initial layering of the wool roving. Someone mentioned it looks a bit like ‘Cousin Itt’ from The Addams Family (a 1960’s television series). For the reverse/back side, I used a natural colored gray wool. 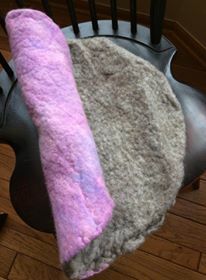 Here you can see the ‘chair pad’ is already felted… but, I wasn’t particularly happy with the results. Never fear!!! Remember, there are NO felt failures!! 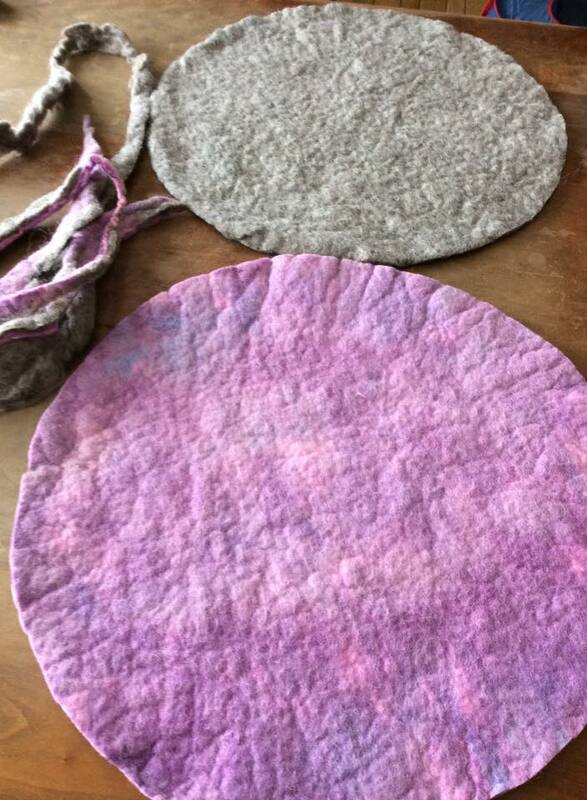 I cut it apart and now I have TWO 15-inch diameter circular cushions/felted mats to work with. But… it all worked out in the end. I also purchased a piece of foam cushion from Jo-Ann Fabric Store for the ‘stuffing’. Katie’s new cushion (a belated Valentine gift); Dennis and kitty approved! !